After a long life of teaching and performing, Gracie Peterson passed away at the age of 104 in 2006. In addition to the Wells Theatre Plaza that was dedicated to her in 1990, the college also dedicated a dormitory in her name, demonstrating the impact she had on the college during her long career. Although the plaza and the dormitory stand as physical reminders of Gracie's impact on Monmouth, her legacy lives on through her music, which captivated audiences of both the community and the college for nearly a century. 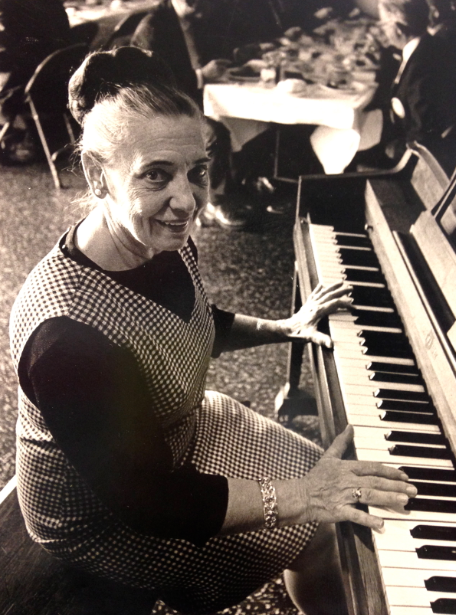 A photograph of Gracie Peterson at the piano. This photograph perfectly memorializes Gracie and her legacy. 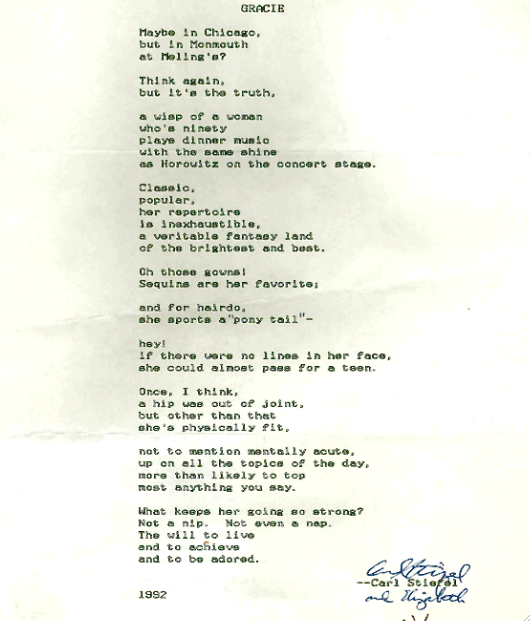 This poem written by Carl Stiefel was a tribute to Gracie on her 90th birthday. Former student of Gracie Peterson, Joyce Patterson, discusses the impact Peterson had on her life.